Designed and developed to fulfill the demands of todays high Production Producer, the Terex Finlay 693+ has surpassed all expectations. Available in three options, the Supertrak model offers maximum on site mobility incorporating a twin undercarriage which can be controlled from a hand held radio control. The Superscreen model is a fully road-going version fitted with 5th wheel coupling and triple axle bogie. The third variation is a combination model fitted with both twin track undercarriage and triple axle bogie (which is detachable for onsite tracking). 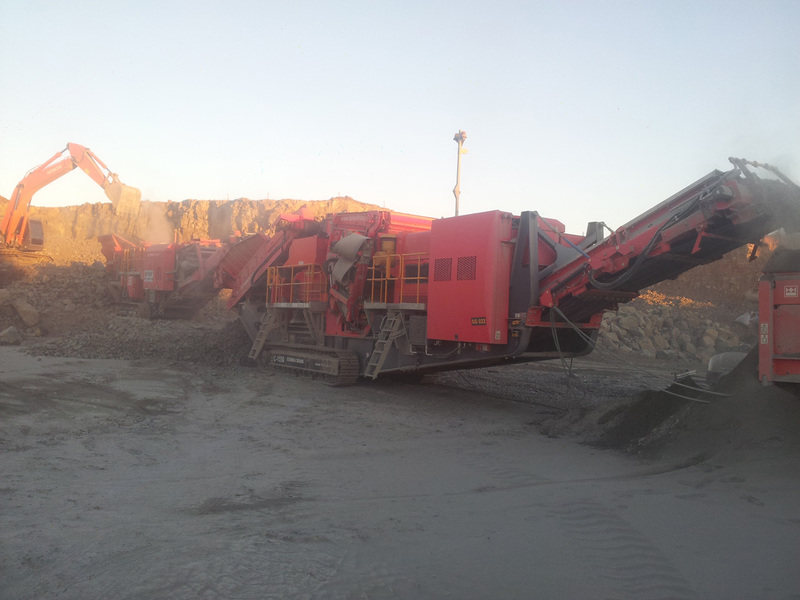 Impressive features include a 6.1m x 1.5m (20’ x 5’) 2-deck screen, three hydraulic folding conveyors, high capacity belt feed hopper and low level greasing. Washing equipment can be fitted to the screenbox if required. 3 off hydraulically folding discharge conveyors.